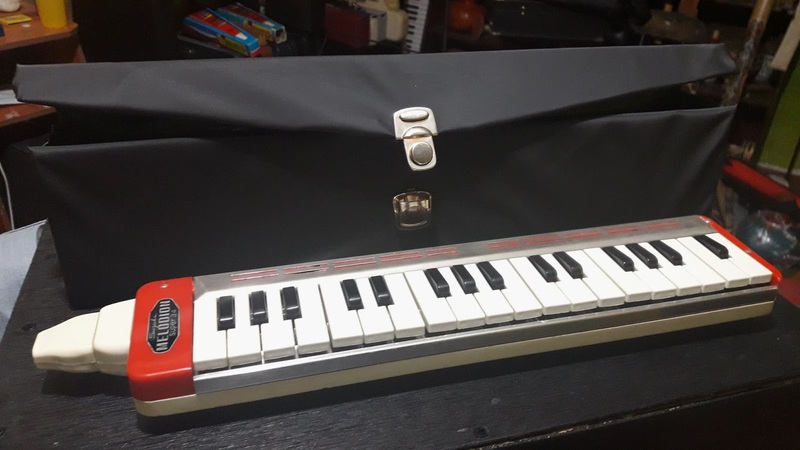 When I fell in love with melodicas and melodions I started to reach for the rarest models, thats how I finded this one, is the First Piano keyboard melodion from Suzuki, a very rare item. I use the Hohner airboard “Aztec Pattern 37”. Thanks for your interest, but due to a stroke handicap I really don’t do photos anymore. The instrument is a typical M32c with blue metal frame. I feel the metal frame adds alot of resonance. I have one already and also an M37c. I found this model too on internet. Does anyone know if this melodion is strange?